Geoffrey de Havilland designed Amy Johnson’s aeroplanes, and was a moth collector extraordinaire. His fabulous moths inspired artist Liz Dorton, pupils and their teachers from Beverley St Nicholas Primary School. Together they explored De Havilland’s aircraft, his beloved moths and elements of art deco design – popular during Amy’s flying years. Using art deco shapes like zig zags; arches; concentric circles; stripes; diamonds and repetitions, the children morphed their favourite moths into deco-inspired delights. 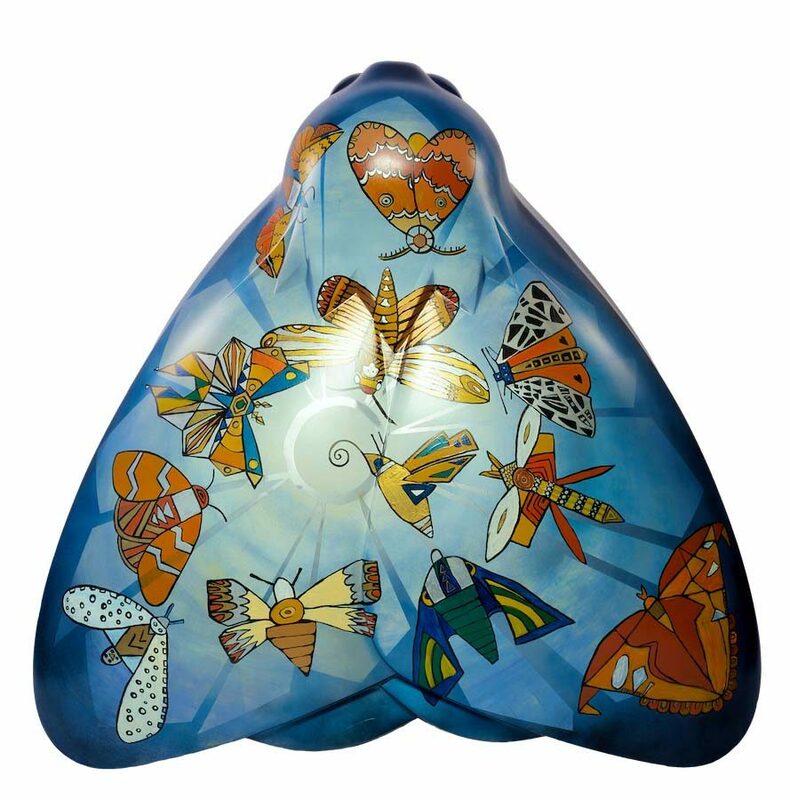 Their Magical Moth designs were transferred onto the big moth sculpture – the children brought them to life with colour and shining glints of gold and silver.